The black box sitting at the heart of NASA's Advanced Supercomputing facility in Silicon Valley isn't much to look at. The size of a garden shed, it's smaller than a conventional supercomputer, but inside something quite impressive is happening. 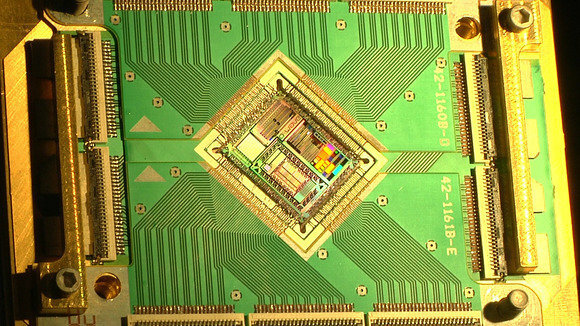 The box is a D-Wave 2X quantum computer, one of the most advanced examples yet of a new type of computer based on quantum mechanics, which can theoretically be used to solve complex problems in seconds rather than years. Quantum computers rely on fundamentally different principles to today's computers, in which each bit represents either a zero or a one. In quantum computing, each bit can be both a zero and a one simultaneously. So while three conventional bits can represent any of eight values (2^3), three qubits, as they're called, can represent all eight values at once. That means calculations can theoretically be performed at much higher speeds. Research is still at the early stages and commercial use could be decades away, but a team of NASA and Google engineers announced on Tuesday that the D-Wave computer, running an optimization problem, came up with an answer 100 million times faster than a conventional computer with a single core processor. "What a D-Wave machine does in a second" would take a conventional computer with a single core "10,000 years" to perform a similar task, said Hartmut Neven, director of engineering at Google, during a news conference held to announce the result. 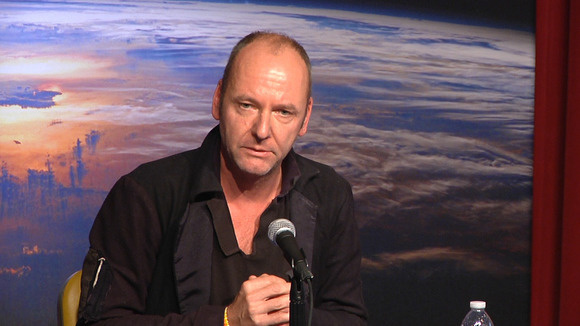 Hartmut Neven, director of engineering at Google, speaks at a news conference at NASA's Advanced Supercomputer Facility in Silicon Valley on Dec. 8, 2015. The researchers see it as a promising step, but it comes with some caveats -- not the least of which is that the computer was engineered for the specific optimization task it was tested with. An optimization problem is one where there are many possible ways to arrive at a desired outcome. The classic example is a traveling salesman who has to find the most efficient route to visit a number of towns. As more towns are added, the number of possible routes increases, and soon there are too many for a conventional computer to handle in a reasonable amount of time. Similar problems exist on space missions and in air traffic control modeling -- both areas to which NASA devotes significant computing resources. The problem used to test the D-Wave computer had nearly 1,000 such variables. The D-Wave Vesuvius chip that lies at the heart of its 2X quantum computer, on show at NASA's Advanced Supercomputer Facility in Silicon Valley on Dec. 8, 2015. "NASA has a wide variety of applications that cannot be optimally solved on traditional supercomputers in a realistic timeframe due to their exponential complexity, so systems that use quantum effects ... provide an opportunity to solve such problems," said Rupak Biswas, director of exploration technology at NASA Ames. Details of the test were published on Monday by Google in a scientific paper. The result is an important one for D-Wave Systems, the Vancouver-based start-up that built the computer. The machine at NASA's Ames Research Center is one of three that D-Wave has built. Another is at Los Alamos National Laboratory and the third is owned by Lockheed Martin and used by the University of Southern California. When the first results from the D-Wave computer at NASA were published, there was significant debate about whether the machine was outperforming conventional computers. But the first-generation system was based on 512 qubits, and it's now been upgraded to 1,097. The Google research paper hasn't been peer reviewed, so scientists have yet weigh in on the latest results.